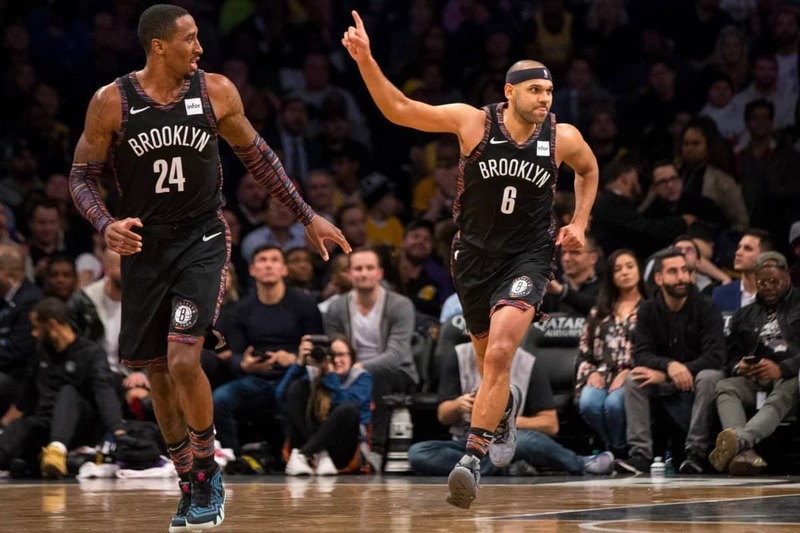 The marketplace is starting to catch up to the torrid pointspread performance of the Brooklyn Nets but we’ll stay on the bandwagon for now. This matchup looks like an excellent opportunity for Brooklyn to continue their strong run as they face the bumbling Chicago Bulls. Chicago is a mess. There’s really no other way to put it. They’re part of the three way ‘race to the bottom’ in the Eastern Conference that also includes the Cleveland Cavaliers and New York Knicks. The Knicks might be the most dysfunctional team among this trio but the Bulls might be the worst in terms of talent. Right now they’re in 13th place in the East but they’re just 1 game out of 14th and 1.5 games out of the conference basement. The New York Knicks currently hold down the last place spot but that’s not much security for the Bulls. When you’re just 1.5 games up on a team that has lost 14 straight games you’re just not very good. Brooklyn is a team on the rise. Ironically, the turnaround started when the team decided to jettison all of the big name contracts and rebuild with youth. So far so good with pointguard D’Angelo Russell becoming a legit star. He’s got a nice group of shooting guards to play with him and some good size up front. Ed Davis in particular has done some very nice work defensively and on the boards. The great thing about the Nets is that they’re deep and balanced. 7 players average double figures and 10 average 9+ PPG. It’s tough to shut down a team where everyone contributes to the scoring. The Bulls aren’t a very good team in any situation but due to injuries they’re less capable of matching up with the Nets. They could have really used rookie forward Wendell Carter, Jr. in this spot but he’s out indefinitely with an injured thumb. That leaves an undersized Bulls frontcourt to try and content with the physical interior play of Brooklyn. Chicago has struggled bigtime against the Atlantic Division over the past year or so. In their last 22 games against the Atlantic the Bulls have gone 6-16 against the spread. There’s little reason that Brooklyn can’t dominate here. The Bulls have covered only five of their last 17 games (5-11-1 ATS) and its doubtful that the trade deadline acquisition of Otto Porter Jr. will make much of an impact. The Nets have been money in the bank since a slow start to the season. They enter this game on a 30-10 SU run going 22-8 against the spread. The should win and cover easily in this spot.